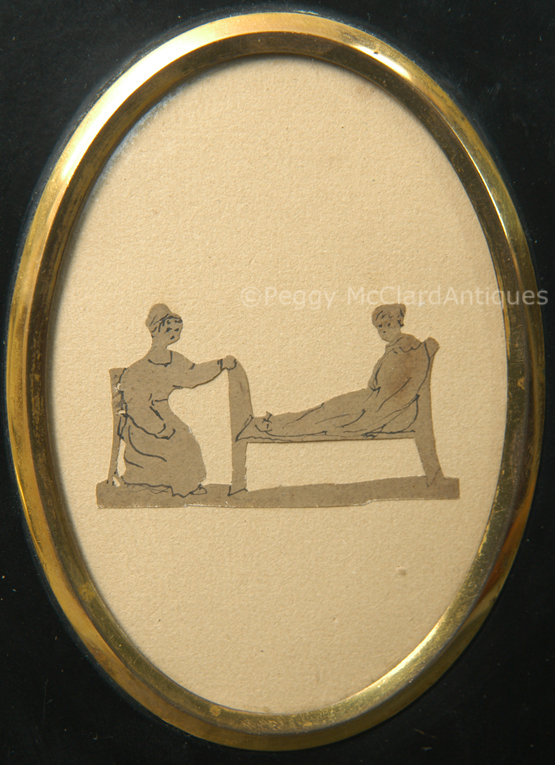 A tiny little cut & paste conversation silhouette of a seated woman visiting a woman lounging in a day bed. Although the figures are only 1” tall and the cut-out floor which forms the base of the one-piece cutting is only 2” wide, these tiny figures show lots of detail and personality. The artist cut the silhouette from sepia-colored paper and painted tiny details in black watercolor. We can see hair, jewelry, details in clothing, including both bonnets, and some detail of the wooden chair and daybed. The facial features are, of course, minimally detailed (they are tiny after all), but the tiny little silhouette smacks us in the face with charm and creativity. This little silhouette is likely from a scrapbook. It resides in a period papier mâché frame that measures 5 ½” x 4 ½”. The frame includes a very nice starburst brass hanger. 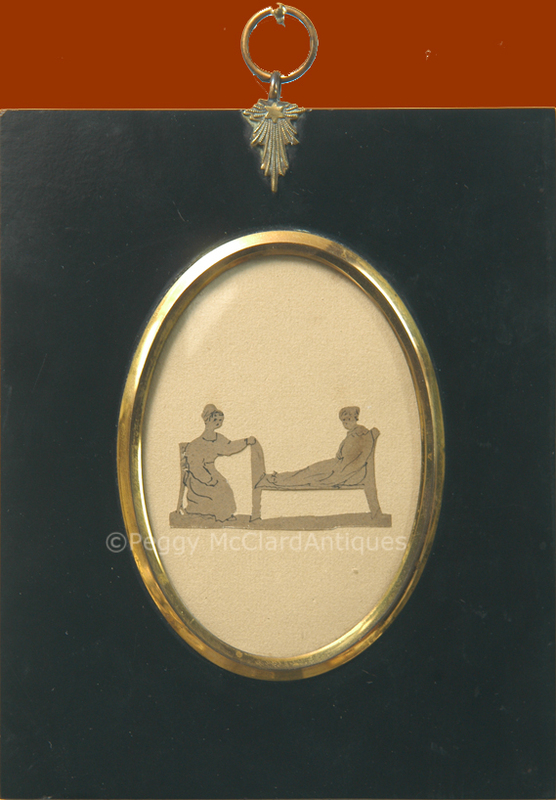 A nice little rarity, circa 2nd quarter of 19th century.